Under this project Indesco was commissioned by ACT Planning and Land Authority to review relevant past studies, investigate and develop master plans for sewer, water supply and stormwater drainage to cater for possible future re-developments in North Canberra suburbs. The scope comprised a major hydrologic and hydraulic study, the preparation of a detailed stormwater drainage master plan as well as sewer and water supply network development plans for the future redevelopment scenarios for North Canberra. The total catchment area is 52km2 with 20km2 of urban area. This project is most relevant to this Flemington Road Retarding Basin project where previously proposed retarding basins and wetlands were reviewed and appraised to provide a complete and ranked order for the development improvement within the catchment to either allow for additional urban consolidation/development or to provide water quality improvement for the Sullivans Creek. 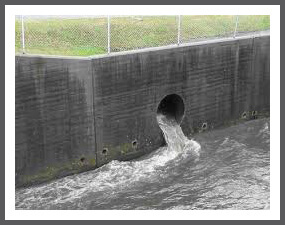 The study had to address urban consolidation, the latest concepts and principles in stormwater management including off-stream water quality control ponds and on-stream retardation with a planning horizon of 25-50 years. The work was developed in close consultation with the client, ActewAGL and Sullivans Creek Catchment Group. For sewer and water supply infrastructure, Indesco was involved in analysing possible re-development scenarios in consultation with planners and establish partial databases suitable for analysis by ActewAGL to develop sewer and water supply network development plans. For stormwater drainage, Indesco carried out both hydrological and hydraulic analyses for this 5,000ha catchment and Sullivans Creek, determined flow retardation requirements for the catchment and identified the opportunities to reduce flood levels and to improve water quality for Sullivans Creek. For water quality management, the Sullivans Creek Catchment Management Plan developed by the community group known as Sullivans Creek Catchment Group was appraised and enhanced in consultation with the group.